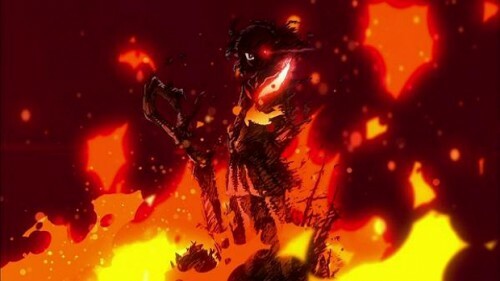 Kill La Kill will be produced by Trigger, a studio that is basically composed of all former Gainax staffers. The show will star Satsuki Kiryuuin, who transfers into a new school with a longsword in hand and one goal in mind. To conquer the entire student body using her strength. This does not sit well with Ryuuko Matoi, who decides to seek revenge and stop Satsuki. 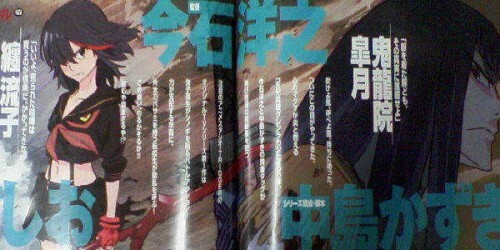 The show is going to be a 2-cours (a cours is basically a 12-13 episode season) battle anime. Also, it looks like the show is going to be character driven and will focus on the drama and rivalry between the protagonists Satsuki and Ryuuko instead of just mindless action. I have to admit that I am pretty excited for this as I was a big fan of Gurren Lagann and have full faith in Studio Trigger’s abilities. I can’t wait. The show’s official site should be up in the near future and can be found here: http://www.kill-la-kill.jp.